Yes, I know. It’s not the most common direction. Creating an app first on Windows Phone, and then porting it to iOS? In my spare time I recently created and released a Windows Phone app that synchronizes your Google Chrome environment to Windows Phone, to access your Chrome bookmarks, passwords, recently viewed web pages, and (experimentally) open tabs from Windows Phone. It does this by talking the Chrome sync protocol directly to Google’s servers just like Chrome itself does. I created the app by downloading the Chromium source code, and then building and running Chrome on my PC (Chrome is written in C), working out how it did the synchronization, and then I did the same thing from C# in my Windows Phone app. I released the app and it was well received. The next step in my master-plan was to release a similar app for the iPhone and iPad, by porting my app using MonoTouch to iOS. I got to the point where it was working, and then, well … Google released Chrome for iOS … at which point the potential audience for my iOS product shrank to approximately zero. Nevertheless I did get to port an app from Windows Phone to iOS using MonoTouch; I thought I’d share my experience. Reflect on the overall experience. First a word about MonoTouch. If you are like me, you hate the idea of a porting framework because you want to create an app that has a native look and feel … not some generic bland UI that looks the same on all platforms, and is thus horrible on all platforms. Here is what you need to know about MonoTouch: it provides C# bindings to the native iOS frameworks. It does not provide any UI compatibility layer to let you run Silverlight on iOS. 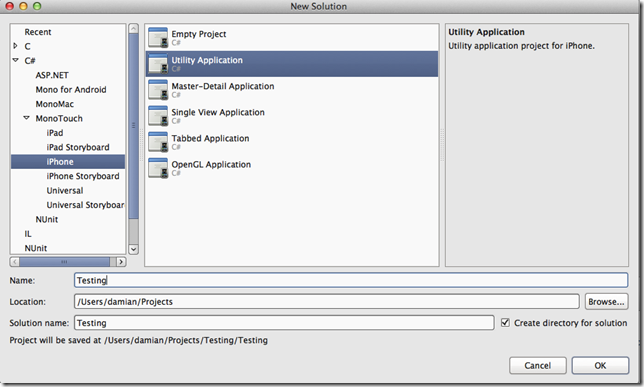 You still design your UI using NIB files, create outlets, ViewControllers etc. You use MonoTouch to create a native app, that is indistinguishable from an app coded in Objective C.
So if you can’t port the UI, what is the point? It turned out that most of the challenging code in my app was the backend stuff – authenticating, syncing, storing in the DB, etc. The UI was pretty straightforward. I wanted to port the backend code, but put an authentic iOS UI on it. A few years ago Red Gate software acquired a product I created and consequently am a Friend of Red Gate. One of the perks was a free years subscription to the online video course company, Pluralsight. Before doing anything with MonoTouch I watched the available Pluralsight courses on iOS and MonoTouch. On most devices, such as the iPad you can watch them at 1.5x or even 2x the normal speed. I found these courses to be excellent, and I now pay out of my own pocket to subscribe. The half-life of the information gleaned through watching these videos is very short in my brain, so I needed to get my hands dirty very quickly after watching the videos. Although I did not know much about MonoTouch development, I did know that I wanted to continue using Visual Studio, and more specifically the Resharper development/refactoring tool from Jetbrains: .NET development without Resharper is unthinkable for me. One other thing I knew was that I didn’t want to fork over US$200 for a MonoTouch license without being sure that what I wanted to do would work. Fortunately you can download and use MonoTouch for free, but you can only deploy apps to the iOS Simulator – not to real devices. This seemed good enough to me. I thought that if it worked on the emulator, it was very likely to work on a real device. Little did I know how naïve I was. 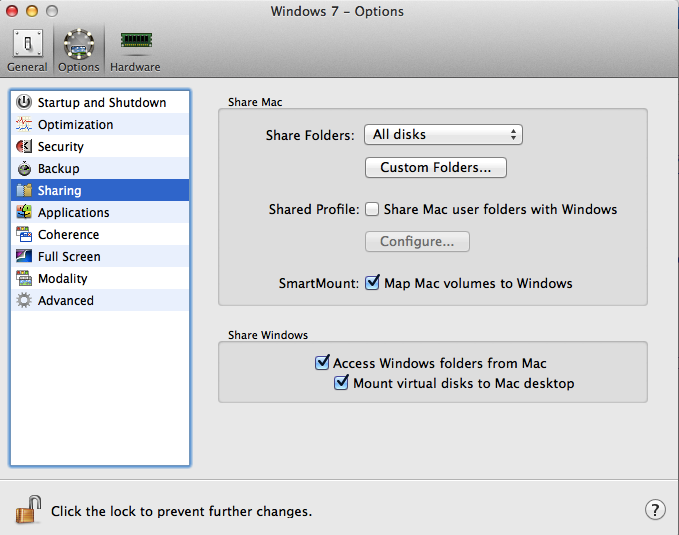 I already had a MacBook Air running OS X, and Parallels hosting Windows 7. I also already had Visual Studio installed within Windows 7 and Resharper installed. I downloaded and installed MonoTouch on the OS X environment, and made sure I could build and run a simple project. Then I followed the instructions in this email to set up my Windows and Visual Studio environment to be able to edit MonoTouch projects. 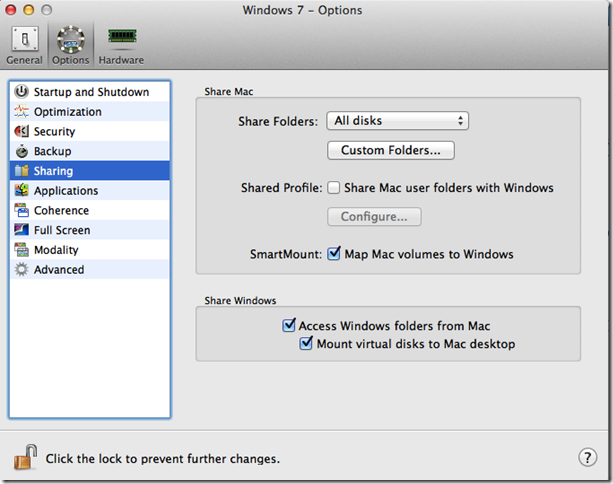 I’ve read a lot of stuff about people using Dropbox to automatically synchronize their PC based Visual Studio with their Mac based MonoTouch. Instead what I did was simply to open the MonoTouch solution from within Visual Studio running in the virtual machine on the same PC, using the ability to open the host OS’s files within the VM. 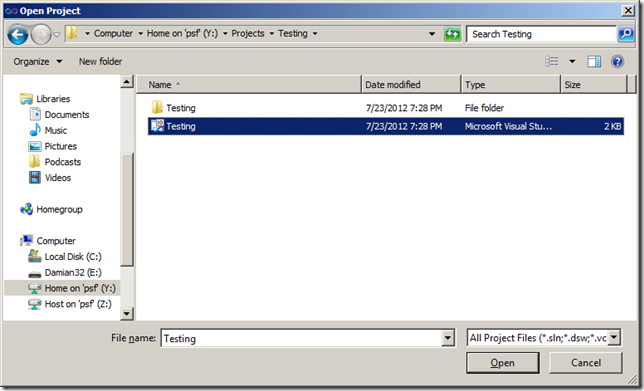 Using Visual Studio to develop, and then MonoTouch to deploy and debug was almost totally painless. I still needed to learn MonoTouch’s debugger shortcuts, but that was the only pain-point. The original version of the Windows Phone project was not designed with the idea of porting it to iOS, however I did use the standard MVVM pattern, which meant that my sync logic and database code was totally decoupled from my UI code. The Engine namespace contains the classes used to talk the Chrome sync protocol to Google’s servers. The Models namespace contains the classes used to represent entities written to, and read from the database. The proto folder contains protocol-buffer definitions and generated classes, and the ProtocolBuffers folder contains the engine used to talk the protocol buffers protocol. All of these classes are shared between the Windows Phone and iOS versions of the app. Almost all my non-UI code could be reused between Windows Phone 7, and iOS, however there were a couple of areas where I needed to re-write code, namely storage of Settings, and Database code, which I hide behind interfaces (see IDatabase, IDatabaseFactory, and ISyncOptions in the picture above). Although I love using LINQ, Microsoft’s recent announcement that Windows Phone 8 will support SQLite was very welcome, since if I’d used SQLite on Windows Phone, my database code would have remained unchanged. For this app, I ended up re-writing the database read/write code, with different implementations of an IDatabase interface used by the sync engine. I use LINQ to SQL as my database implementation on Windows Phone, and I wanted to re-use the same database entities on iOS, even if they were stored using a different technology, namely SQLite. 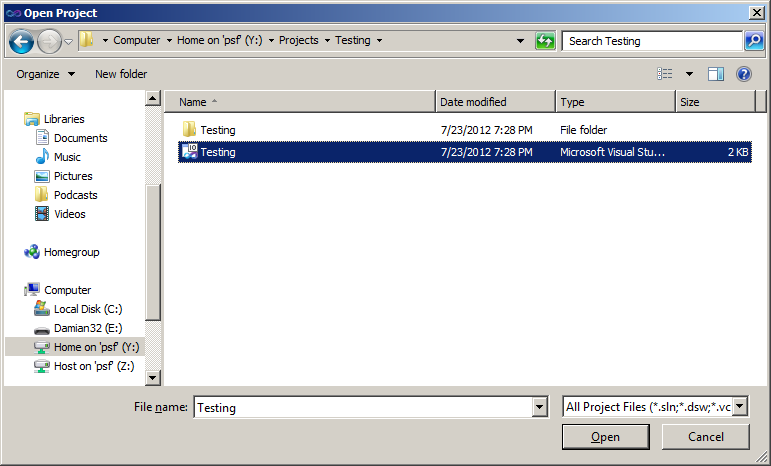 I ended up using #IFs to allow me to use the same classes between both iOS and Windows Phone. I’m not going to go into all the details of what I did, but I thought I’d give you a flavour by looking at the class used to represent encryption keys exchanged during synchronization. I’ll show an extract of the class itself, and then the two different IDatabase implementations which read/write instances of these classes. This is an example of the NigoriModel class, used to represent encryption keys. Note the #IFs used for Windows Phone specific classes. You’ll also see that I have not commented out the use of the Table and Column attributes – I simply defined my own TableAttribute class, #IFd to be only visible when building for iOS. I used the Windows Phone ProtectedData class to encrypt sensitive information prior to committing it to the database. I replicated the Windows Phone behaviour in the iOS implementation, using equivalent mechanisms from SQLite. I was amazed and delighted to find that all the networking code just compiled and ran using MonoTouch. Once I got the database implementation working on iOS, I ran a simple iOS app using my Chrome sync email address, password and application-specific password (I have that option turned on for my account). It worked – I was able to communicate to Google’s servers and dump out my synchronized bookmarks. So far this was all done using the iOS emulator, but I was on a high – I took out my credit card and paid to buy a license to use MonoTouch on physical devices instead of just virtual devices. I also paid to become a registered Apple iOS developer. There are very thorough instructions on how to set up your real-world iPhone as a developer device. I rushed through the setup instructions, deployed my app to the iPhone, ran it and … it crashed. The same code that had run fine on the emulator failed on the real device. /// value is set and this method returns false. Now my code not only compiled, but it also ran! One issue that I never got to the bottom of is that the MonoTouch compiler crashed when compiling my code. My solution was to always compile under Windows, and then let MonoTouch transform the compiled code into an iOS app, and run it. I suspect that it is the fact that I left the generic functions there that causes the MonoTouch compiler to crash. Although Google cold-heartedly destroyed my ambitions to release a Chrome-syncing app for iOS when they released Chrome, I still got a lot out of the experience of porting my app from Windows Phone, and I’m ready now for the next one. There are restrictions to the magic that MonoTouch can do – When your app works on the Simulator but not on the real device, don’t despair – read the FM and re-write your code to work around the restrictions. Better yet, read about the restrictions before you code. 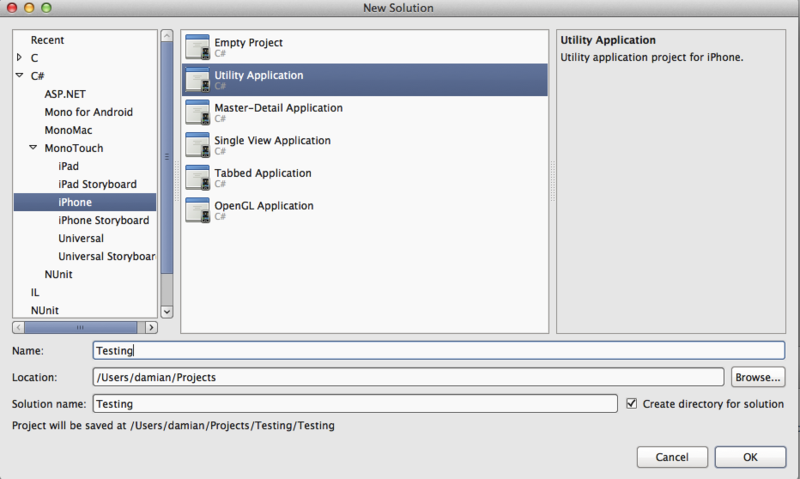 This entry was posted in Chrync, iOS, WP7, Xamarin on July 24, 2012 by damian. This entry was posted in WP7 on February 9, 2012 by damian. This entry was posted in Evernote, WP7 on September 24, 2011 by damian. 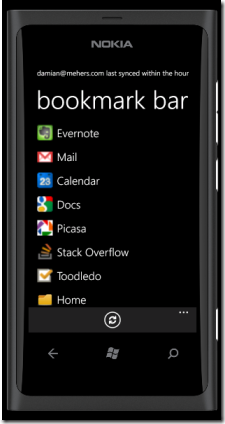 This entry was posted in Evernote, WP7 on September 23, 2011 by damian. This entry was posted in WP7 on August 2, 2011 by damian. Behaviors are a great way to encapsulate functionality that can be used in a drag-and-drop environment such as Expression Blend. Out of the box you get a NavigateToPageAction, but I couldn’t see an easy way to navigate backwards to the previous page using any of the built-in behaviors. I wanted to let the user click on an item in a list, and then have the Phone automatically navigate to the previous page. Once you’ve built this class in your project, if you open your project in Expression Blend you should see the GoBackAction listed in the Behaviors section of the Assets tab. You can then drag the behavior onto a UI element, define the event that should trigger the action, and then when the event occurs you should be automatically navigated backwards. This entry was posted in WP7 on April 11, 2011 by damian. Colin Eberhardt at ScottLogic has been doing some excellent work showing how we can make our own UIs animate in a fluid manner similar to the built in Microsoft UIs on Windows Phone. His Fluid List Animation is particularly neat, and I thought I’d apply it to the UI I’m developing, specifically on a couple of LongListSelectors that I embed in Pivots. Unfortunately his code didn’t work on the LongListSelector out of the box because although Colin went out of his way to make it work with any ItemsControl, the LongListSelector is not an ItemsControl. Fortunately his code was well commented, and it was trivial to modify it to work with the LongListSelector. All the changes are in the OnIsPivotAnimatedChanged method in the ListAnimation class. The key is the call to GetItemsWithContainers – the first parameter indicates we only want items that are in view, and the second indicates we want the containers (hence the ContentPresenter type in the foreach). That’s it – Colin did all the hard work – I just adapted it – all kudos to him. This entry was posted in WP7 on April 4, 2011 by damian.